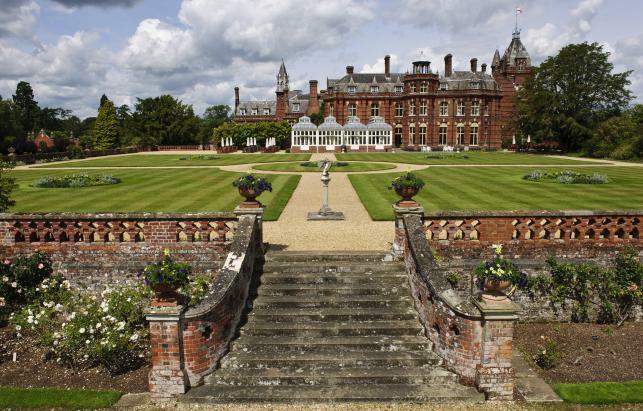 The Elvetham is a 19th century Victorian mansion built in 1860. This magnificent hotel is set in 35 acres of beautifully manicured gardens and grounds. Each meeting room has plenty of natural daylight and air conditioning. AV equipment is included in the delegate package. Free Wi-Fi is available throughout the hotel, meeting rooms, bedrooms and immediate grounds. A dedicated IT logistics & support team is on hand throughout the day to ensure your event runs smoothly. 72 bedrooms including 2 feature bedrooms for VIPs and 22 new superior double rooms. Each bedroom has internet connectivity, DDI telephone, flat screen TV with Freeview channels, tea and coffee making facilities and a trouser press or iron and board. Our extensive experience and amazing venue make The Elvetham the perfect place for a large event that really delivers the ‘wow’ factor. The whole of the main house and formal gardens are available for private hire, exclusively available for your bespoke experience with Team Challenge Company. This ensures ultimate privacy for parties and events that want to maintain a truly exclusive environment. The estate is situated in 35 acres of stunning gardens and grounds, set back from the road with private landing site facilities for helicopters. 72 bedrooms accommodate guests overnight and breakfast awaits the morning after.